The sigmoid curve is one of nature’s most common patterns, governing phenomena as diverse as population growth, and the spread of disease. It also governs dissemination of ideas. The Lean Business System was born during the 1946 – 1952 Allied occupation of Japan, a historically unique moment when the best & brightest of two great cultures met and learned from one another. The Japanese were extraordinarily open and curious students, and they absorbed what Deming, Juran, Drucker and other great senseis had to offer. Of course, since then Japanese management gurus have returned the favor and taught what Deming called the ‘profound system of knowledge’ around the world. Lean (a.k.a. Toyota Production System) gained worldwide attention after the publication of The Machine That Changed the World in 1990, and as Toyota’s achievements began to be understood. Since then, Lean thinking has migrated across manufacturing and developed roots in field as diverse as health care, financial services and education. Where on the curve are we now? 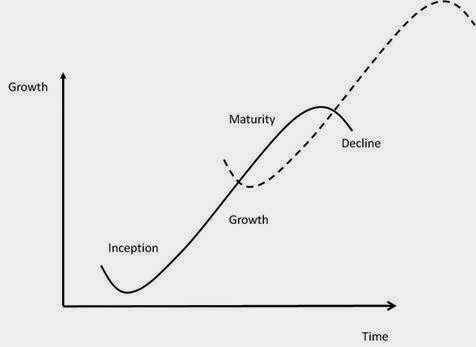 Are we still in the state of accelerated growth – or has Lean leveled off? If the latter, how to create a new sigmoid curve? What are the obstacles and possible countermeasures. I’ll share my thoughts in the weeks to come. In the interim, we’d love to hear yours.